It is considered among television’s most challenging assignments. For five weeks each summer, NFL Films produces the HBO Hard Knocks documentary series that chronicles the training camp of an NFL team. While most reality shows are filmed months ahead of when they air, Hard Knocks is filmed and edited within hours of making it to your TV. Perhaps the late Steve Sabol put it best when he said producing the show is like “building an airplane while in flight.” More accurately, producing high-quality television like Hard Knocks almost in real time each week is like flying a half-built airplane with your hair on fire and the seatbelt signs illuminated. It’s a gloriously stressful job that lives on the edge of disaster and panic. Since 2007, the pilot of this maniacal ship has been senior producer Ken Rodgers, the show’s quarterback. Deemed too green to contribute to the first season in 2001, he has worked on eight seasons of the show and now oversees its assembly, editing, and presentation. “I’m shocked when it goes on air because I know we just finished a week-long sprint and I can’t believe that we actually pulled it off,” Rodgers says. Within the confines of the NFL Films complex in South Jersey, Hard Knocks was never supposed to be the HBO franchise it is now. It was originally a stand alone documentary series following the Baltimore Ravens camp after the team’s breakthrough season and Super Bowl win. It has since developed into what Rogers calls “a marker on the calendar” signaling the start of training camp and the beginning of the new NFL season. Even the announcement of what team will participate from year to year has become an event. 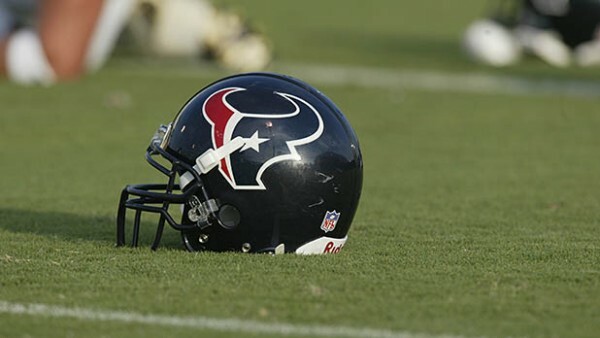 The new season of Hard Knocks follows the Houston Texans through training camp. The first of five episodes airs on HBO Tuesday, Aug. 11 at 10 p.m. ET. That’s about the only thing about the show that can be considered casual. To be fair, technology has made producing the show a lot easier. In the past, tapes had to be shipped in from around the country back to NFL Films, where they were digitized, catalogued, and logged. Sometimes editors had to wait up to 36 hours for that process to play out, but thanks to a dedicated Internet connection in Houston, they are able to start cutting each week’s episode while the team is still on the practice field. Delivering the show to HBO each week has also been made simpler. In the old days of 2007, an NFL Films van would race up the New Jersey Turnpike with a final cut for HBO in New York just hours before airtime. “Let me tell you how nerve wracking that was, hoping our driver made it to New York in time with the show,” Rodgers says. “These days, with satellite technology, we feel pretty confident it’s going to get there.” Still, the clock ticks. The latest the show has been beamed up to HBO has been “in the 9 o’clock hour,” less than an hour before air. There are 115 NFL Films staffers assigned to the show each week with a crew of 30 on the ground in Houston. There are six manned cameras and eight robotic cameras capturing the sights and sounds of camp, recording more than 300 hours of footage each week. There are only 168 hours in a week, so you can imagine the heavy lifting demanded of a crew that is expected to work 46 straight days between July 24 and Sept. 7. NFL Films crews have been shooting for more than a month already to compile scenic shots, embed with the team, and get up to speed on relevant story lines. Part of that indoctrination is also to get used to the geography of the Texans vast training complex, wire the facility with cameras, and calibrate an arsenal of cutting-edge equipment. Hard Knocks relies on the tone set by the head coach. The message that the head coach puts out ends up being the message of that particular season. The show’s producers have never requested that certain players room together or even sit in a certain place because it makes for a better shot. The Texans will put in the work, but the hardest working guys at Houston’s camp this summer may be the guys filming every minute of it.